It sure has been a whirlwind fall. I have no idea how it's almost half way through November---the last two months have been a complete blur. Working, and playing, and working some more. I'm anxious for the break that awaits me around the end of this month but it will be a hard push until Thanksgiving to meet my self-imposed deadline for my current freelance project. I really can't wait to be finished with it so I can focus on creating some gift paintings for Christmas, collaborating with my husband on new art endeavors, and FINALLY getting back to my book. I can not wait to have the time to get back to thinking about my story and getting to know my characters. It is just too much fun and I miss it. December can't come soon enough! But for now, I'm keeping pace with my project. 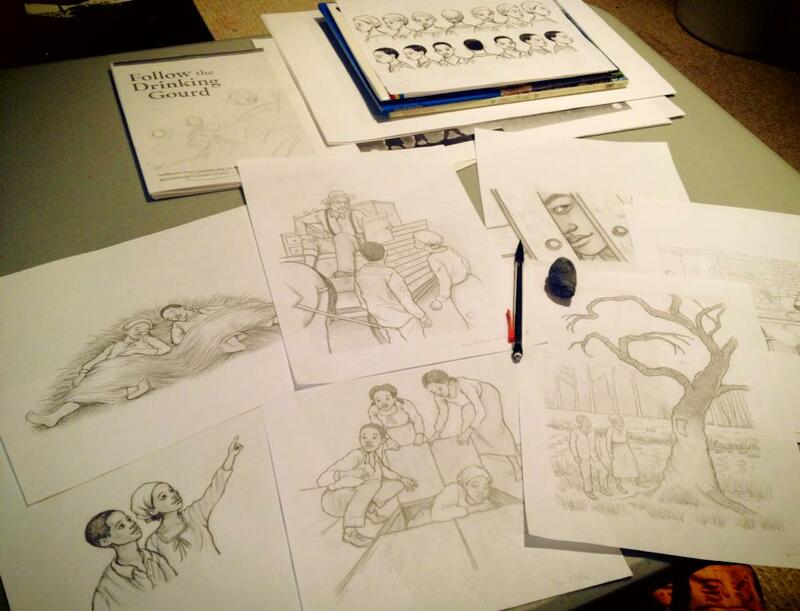 19 illustrations, 5 of which are finished, 12 are well under way, and the final 2 drawings are almost there, too. This is going to be the last project I take on for a little while. I should have a better grasp of where I'm heading once the new year rolls around.